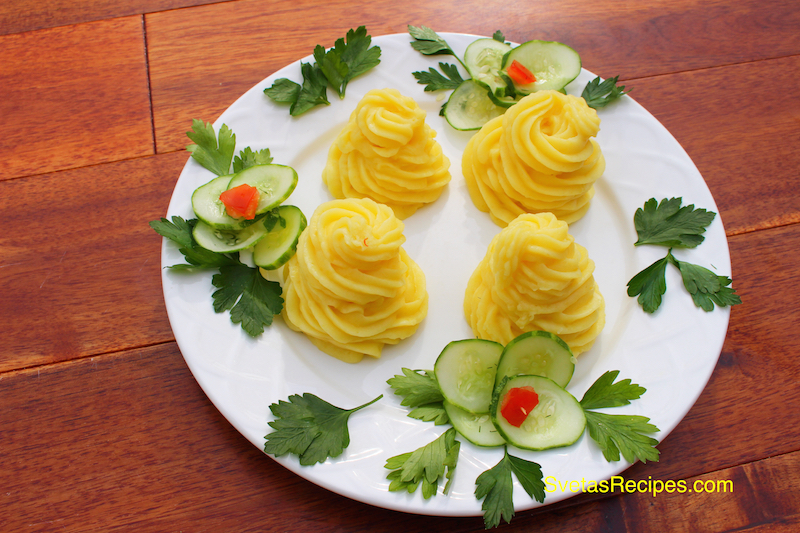 Mashed potatoes is one of the most liked recipes in my family. This recipe can be used as an everyday menu or on any special occasions. There are many different recipes out there for mashed potatoes but this one definitely beats them all in my book. The taste is definitely like no other! 1.) Wash, dry and peel potatoes, Put in saucepan. 2.) Add salt and water, Cover the pan and heat to boiling. 3.) Reduce heat to low heat and cook for 40 minutes, or until fork tender, Drain. 4.) At the same time in a small pot boil milk with butter. 5. 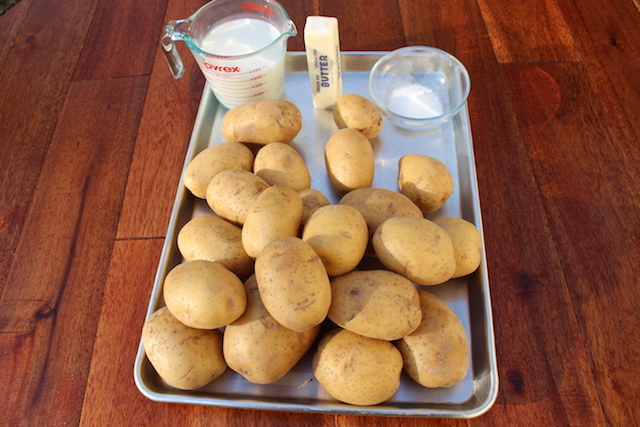 )In large bowl use a mixer at low speed, Beat potatoes with hot butter mixture until fluffy. Continue beating for 2 min or until potatoes are smooth. 6.) Using a decoration bag, decorate with the mashed potatoes however you would like. Mashed potatoes is one of the most liked recipes in my family. This recipe can be used as an everyday menu or on any special occasions. 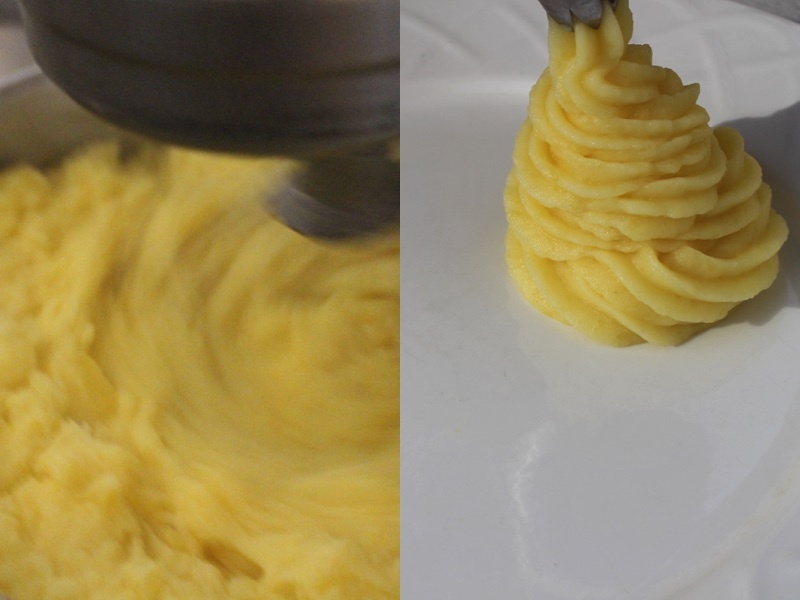 Did you know that there are many different ways to make mashed potatoes. Wash, dry and peel potatoes, Put in saucepan. Add salt and water, Cover the pan and heat to boiling. Reduce heat to low heat and cook for 40 minutes, or until fork tender, Drain. At the same time in a small pot boil milk with butter. 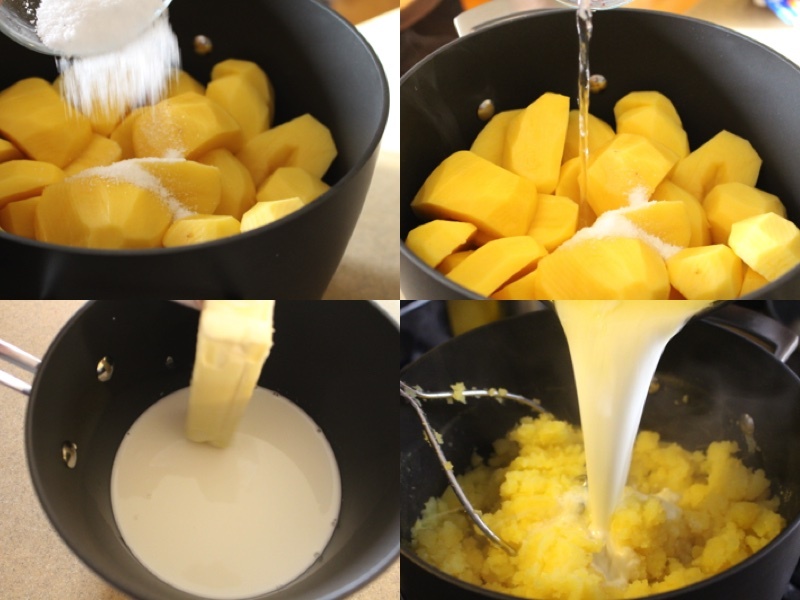 n large bowl use a mixer at low speed, Beat potatoes with hot butter mixture until fluffy. Continue beating for 2 min or until potatoes are smooth. Using a decoration bag, decorate with the mashed potatoes however you would like.